For many of us, the foundation for a “good life” is the home in which we live. Home provides us with a sense of belonging and security, connection to a larger community, and the opportunity to decide for ourselves how and with whom we want to share our lives. For most New Brunswickers with an intellectual disability, the concept of home means living with their parents well into their thirties, forties or fifties. For others, home is the place you have to live in order to receive the support you need. In the past, such places were large institutions, while more recently they have become other types of group facilities. November 22 is National Housing Day in Canada. It is also the day that our federal Minister of Families, Children and Social Development, the Honourable Jean-Yves Duclos, will report on the results of the Let’s Talk Housing consultations that took place across the country this past fall, to help develop a new National Housing Strategy. The Minister’s report will be aired live on the CMHC Facebook page at noon AST (http://bit.ly/2f0hPiX). We at the New Brunswick Association for Community (NBACL) will be watching closely. As the provincial non-profit organization that supports New Brunswickers with an intellectual disability and their families, NBACL submitted a brief during the consultations. We hope that our feedback has been heard. In our submission, NBACL reminds stakeholders that having a home of one’s choosing is part of the right to be included within the community as full citizens (UN Convention on the Rights of Persons with Disabilities – Article 19). To assure this right, people with an intellectual disability should be able to choose where and with whom they want to live. For this to happen, government policies and programs must develop the capacity to provide supported living opportunities for people with an intellectual disability throughout New Brunswick and the country. “Supported living” means people having choice, a decent and secure home, personalized supports to help them live there, and opportunities to develop relationships and participate in the broader community in which they live. There have been significant developments here in New Brunswick when it comes to people with disabilities receiving the supports they need to live in a home of their own. But finding housing is still a challenge for them, for three main reasons: affordability, accessibility and availability. People should not have to choose between paying for housing and purchasing food. Affordable housing means a person is spending no more than 30% of their income on housing costs (rent, utilities, insurance, home maintenance, etc. ), leaving enough money for the other essentials of life. Affordability also ensures that everyone has equal access to housing and it is not something only reserved for those who can afford it. Accessibility has many components. Most people understand it as the requirement for physical features such as ramps, wider doorways, elevators, etc., but location is also important. Affordable housing should be close to essential amenities such as grocery stores, transportation routes and health care facilities. It should also be situated in locations that are not specific to an income level or disability status. When the location of affordable housing is not taken into account, people are at risk of becoming ghettoized, stigmatized, socially isolated and reliant on others. Affordable housing should be indistinguishable from other housing. Within New Brunswick, public affordable housing is not considered an essential service, so it is not mandated by provincial legislation to be offered by the province alongside other services like health care and education. The result is that public affordable housing does not receive the level of funding that it requires to truly respond to the housing needs that many New Brunswickers face. Traditionally, in New Brunswick, the subsidy that makes a unit affordable is tied to the home itself and not to the person. Which brings us to availability. This is one area where New Brunswickers who have a disability actually fare better than other vulnerable groups. That’s because they are part of an innovative and progressive program that assigns them a subsidy that can be used to find their own affordable housing that meets their specific needs. 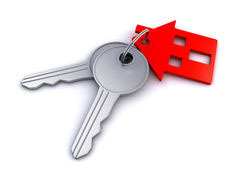 The subsidy remains attached to the person, so that if they move the subsidy travels with them to their new home. This is true choice that allows people to live close to their family, friends, employment, transportation and more. It also means that they are not hampered by wait times for subsidized housing, which can be as long as five or six years in New Brunswick’s larger urban centres. While the criteria for this portable subsidy program is limited to people who have a disability, other vulnerable populations, including youth, seniors, newcomers and people who are homeless, should also receive the same benefits. As a matter of fact, many of the recommendations in NBACL’s brief for Let’s Talk Housing apply not only to people who have a disability, but to those other vulnerable populations, as well. To be sure, many groups and individuals who responded to Let’s Talk Housing addressed the challenges faced by Canadians whose circumstances make it difficult to find a comfortable home. We have high hopes that Minister Duclos will take some of our suggestions into account. Erin Wilson is Manager of Social Inclusion at NBACL.